Southmoor Angling Club is a small club, based in Portsmouth. Previously known as the IBM SHC Coarse Angling Section. The Southmoor Angling Club has a membership limited to 40 anglers. Our 2019 membership fees are £30.00 per adult and £17.00 for Senior, Junior and Disabled anglers. For your membership fee, you get to fish Staunton Country Park all year around; click here to view the rules for Staunton Park Lake. You will also have access to 2 exchange tickets for Southwick Park Lake ( HMS Dryad ) through the Royal Navy & Royal Marines CAA, and 2 tickets for Hambrook Lake through Horizon Angling Club. Staunton Country Park is a beautiful and picturesque country park located in Leigh Park, Havant. 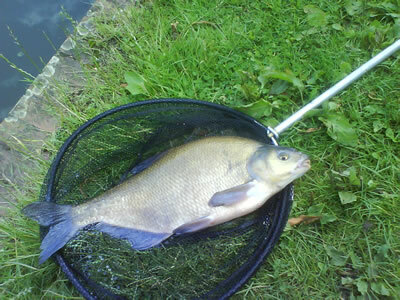 The lake itself is approximately 2 acres in size, and contains Carp up to 38lb, Bream up to 11lb, Roach and Rudd up to 2lb 6oz, as well as a large head of Tench, Perch and Eels. The Southmoor AC has an active Match Section fishing matches every two weeks ( February to October ). Our matches are always fun events, and take place in some of the south’s finest fisheries. Click here to see our match list. Our matches are very sociable, and do not suffer from the 'cliqueness' that is sometimes found when joining a new club. Click here to see some of the venues we fish. If you would like to join, contact Jim Fry on 023 92257884 or click here to download a membership form. Click here to view and download our club's constitution.